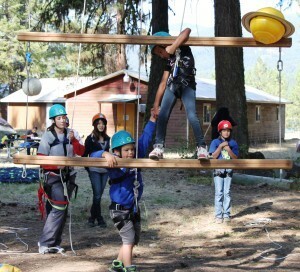 A Low Ropes Course is designed for groups and teams to build communication, trust, and social/emotional learning skills. 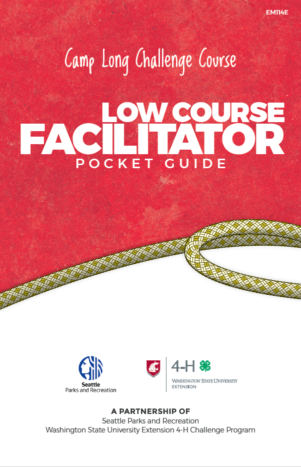 Low course days range from 1-6 hours long. A day typicallystarts with introductions, name games, a health check, stretches, icebreakers, and energizers to prepare groups and teams to engage in Challenge Initiatives to help them reach their individual and groups goals. 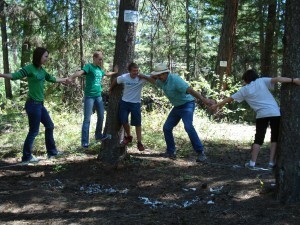 All Challenge Initiatives on a Low Ropes Course occur either at ground level of less than 10 feet of the ground. Each element takes approximately 30 minutes to 1 hour to complete.